The other big event is on Thursday, namely the Ladies Open Day. 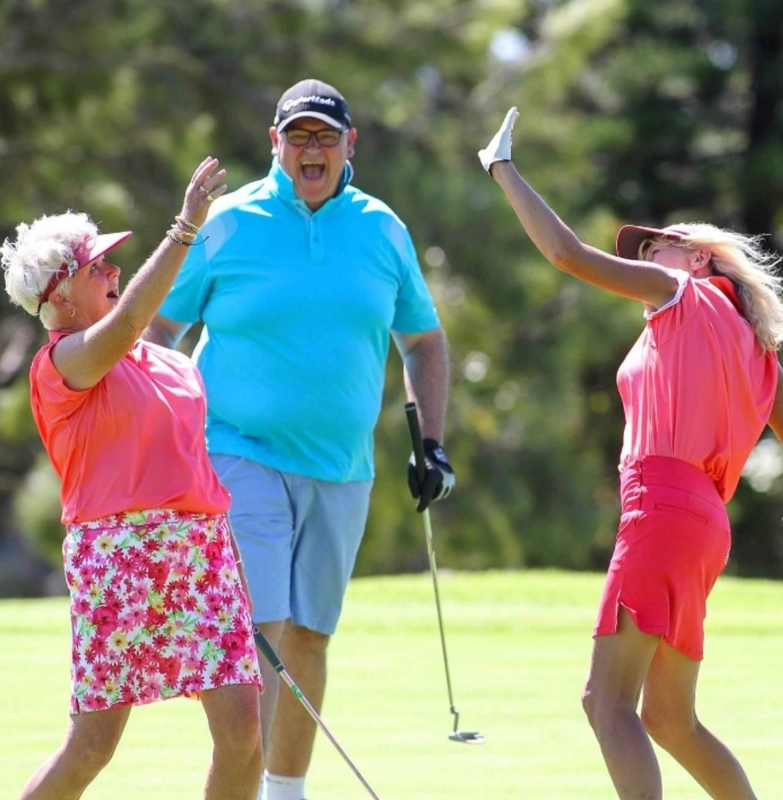 There are 100 ladies playing and each fourball contains a visitor (and potential member). We will be going all out to ensure they have a lovely day and I am sure our lady members will be doing the same. Well done to Ursula and her committee for organising such a great initiative. Gents, perhaps we should do the same. Our course speaks for itself, so if we get visitors to join us on occasion, it won’t be long before they want to be a part of this great club. While on the subject of our ladies, the Fresnaye Cup winner during this ladies Tuesday afternoon medal competition was Bronwen Gray. She is pictured with Annamarie Usher (Lady President) and Devon (Pengelly Autos sponsor). Well done! 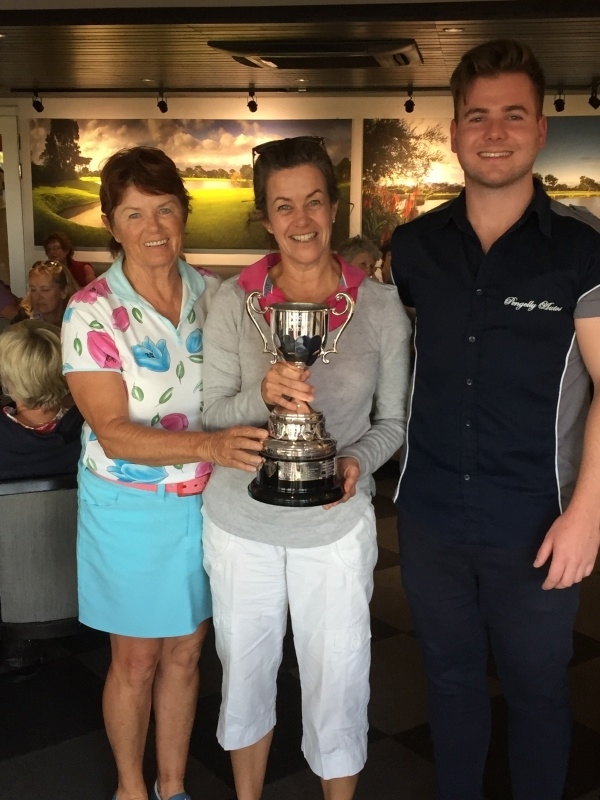 The WAGs held their annual Championships over 2 weeks on the 19th and 26th March. 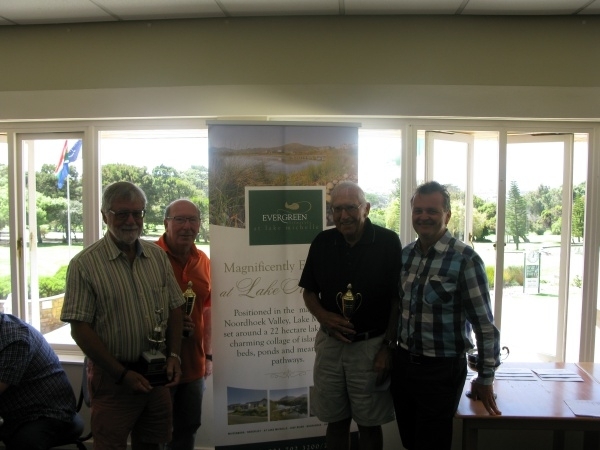 In the picture are Ken Ayre (A Division), Alan Walker (B Division), Bugs Wilson (C Division) and our Evergreen Lifestyles Sponsor, Phil Wilson. Some of our members enjoying themselves at the golf day on Friday! The annual Masters Par 3 Competition & Members 10K Draw is coming up! It is just a week to go before the kick off of our 2019 festival events, with the Masters Par 3 happening on Friday, the 12th April. There are still some spots available. Cost for members is R240 and visitors R330. A rib & calamari combo with chips or salad will be served at prize-giving and I am playing all your favourite tunes! To enter please contact the office on 021 788 2020. Entries close on Friday, 5th April 2019, along with payments for the day. Some great news is that Westlake now has a House Brand Lager on tap. We know prices have been on the increase, so we have taken the initiative to find you an excellent alternative at an affordable price. It is called Lake Lager and is extremely competitively priced at just R32 for a pint before discount. That means you only pay R25.60 after member’s discount. A half pint will only cost you R17.20 after discount! Give it a try. The beer lovers have told me it is delicious and it is only 4% alcohol, which means you can enjoy one for the road too. Only available downstairs. Cheers! Infrastructure at a golf club is something that rarely gets seen, but we have been quietly upgrading our network in anticipation of the new phone system. The crossover onto this new network must happen sometime and this will take place on Monday 8th April at 16h00. It shouldn’t take too long, but anyone enjoying drinks on Monday afternoon will be written up manually and the drinks loaded on your account as soon as we are up again. Raymond and his team are still hard at work with their projects, but that hasn’t stopped the preparation for Club Champs. The course is looking stunning and everything is in place for a wonderful 2 weeks. 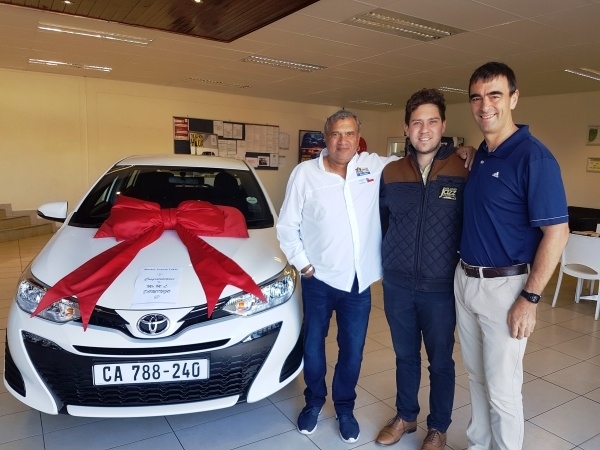 You may remember that the Toyota Yaris competition was won by Billy Domingo. I was present at the handing over of this facelifted beauty on Monday. Billy took delivery and gave the car to his very happy son. We wish him many thousands of trouble free kilometres. A word of thanks to Market Toyota Tokai for their sponsorship and continued support of Westlake! Pictured are Billy Domingo with his son, Francesco, and yours truly. Hearty congratulations! Just a reminder to check at home and in your bags in case you have any of the extra sandbags or locker room towels by mistake. Please return any, as our numbers have dropped substantially in recent weeks. Have a fantastic week and good luck to all this weekend!